Colt McAllister is drawn into a war against things he thought only existed in comic books.After a car wreck takes the lives of his parents, Colt moves to Arizona to stay with his grandfather. There, an informant tells him that his parents were actually murdered because his mom, a journalist, was getting ready to write a story exposing Trident Industries. Along with Oz and Danielle, his new comrades at Chandler High, Colt vows to uncover the truth. But the more they learn, the more bizarre reality becomes. Mind control, jet packs, and flying motorcycles only scratch the surface of what they discover. Colt is recruited by a secret organization called the Central Headquarters Against the Occult and Supernatural. But the battle isn’t just against an out-of-control giant corporation. 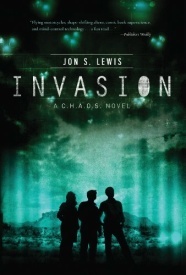 A gateway to another world is opening, and the invasion has already begun. When comic books are becoming your reality, your name must be Colt McAllister. It’s an exciting premise that brings together a range of early-teen issues. I may be a little older than the target demographic, but I still found myself caught up in the conspiracies, the friendships and the cool gadgets. 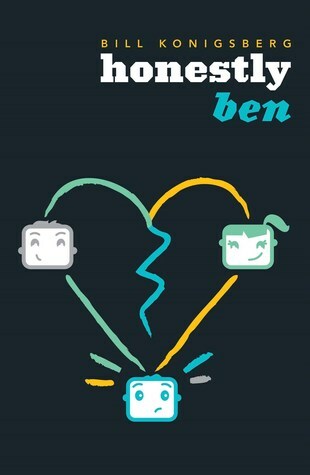 It’s actually the first book of this genre that I’ve seen incorporating romance as well as the action. Not enough for my tastes, but still, I appreciated the effort. In general, there were moments were I felt things could of have been described further, but as for the plot, it didn’t detract. Thankfully the whole book isn’t set in a classroom as we’re quickly introduced to Colt’s friends/sidekicks, Danielle and Oz. Dani’s a self-disclaimed hacker, hot girl-geek amalgamation and Oz is the perpetual smooth-talker. They make for an interesting trio. While there’s a place for teen angst, the conspiracies behind Colt’s parents’ deaths and the other plots unfolding are where the excitement really lay. Mysterious text messages, a sinister corporation, flying motorcycles, a barrage of death threats…yes, that’s what I want to be reading. There are multiple references made to Colt’s extensive collection of older brothers and their involvement with the covert operations going on, yet they barely make an appearance. I was a little disappointed in that, but it’s made clear that Colt’s being primed for the hero position. Perhaps we’ll see further development in that respect in later instalments. I did however, like the way the content of the comic books were tied into the actual world they lived in. I also appreciated that the characters questioned the motives behind such a medium existing. There was enough action and tension spaced throughout the novel to keeps things progressing, but the final quarter is where things shift into turbo. With so much going on around Colt, I did become a bit confused over who was shooting what, where all the grenades were coming from and so on. I actually preferred the one-on-one battles over the widespread attacks. The CHAOS agency didn’t play as big a part as I had thought it would being the title of the series, although I suppose there’ll be more of that to come with Alienation. Those after plenty of action, advanced technology and alien conspiracies.